At the 2014 national convention’s Annual Banquet, Bro. Alex C. Booras, a long time member of Shreveport, LA AHEPA Chapter #8 and SOP Chapter #151 was honored with AHEPA’s 2014 Lifetime Achievement Award. (He currently resides in Dallas and attends our chapter meetings.) He has served both AHEPA and Sons of Pericles, holding all elected offices from President to Treasurer. He also was AHEPA Delta District 16 District Governor, and on a national level AHEPA Supreme Governor. 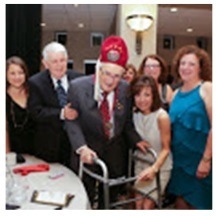 Congratulations for his great accomplishments over 67 years of serving AHEPA and Sons of Pericles. Bro. 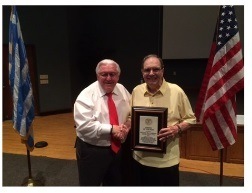 Bill Karahal was awarded the AHEPA Delta District 16 by District 16 Governor John Boyd “AHEPAN of the Year for 2014"